I can't help but feel a new season is beginning in my life. what He has so faithfully and lovingly (and amazingly!) done for me. but also to step out in faith and embrace a speaking ministry as well. the deepest desire of me heart. Hope you don't mind me sharing it with you, my faithful readers. Please be in prayer for me concerning this new adventure. that have sustained me over this past year. Thank you for each prayer spoken on my behalf. God has been faithful to hear . . . and answer. 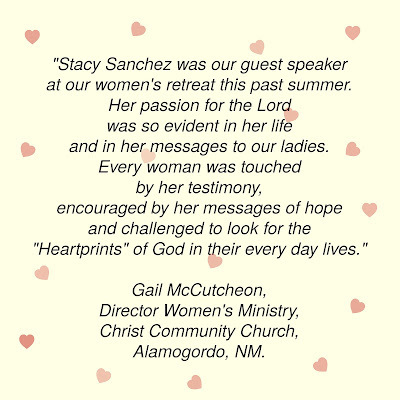 Stacy is a seeker of God's heart. Daily she is learning who she is IN and THROUGH Christ Jesus, her Lord. - a sinner saved by His grace. scattered across the pages of her life story. and that she loves to speak about. and [you will] find Me when you search for Me with all your heart." and be drawn ever closer to God. find the very heart of who they are. 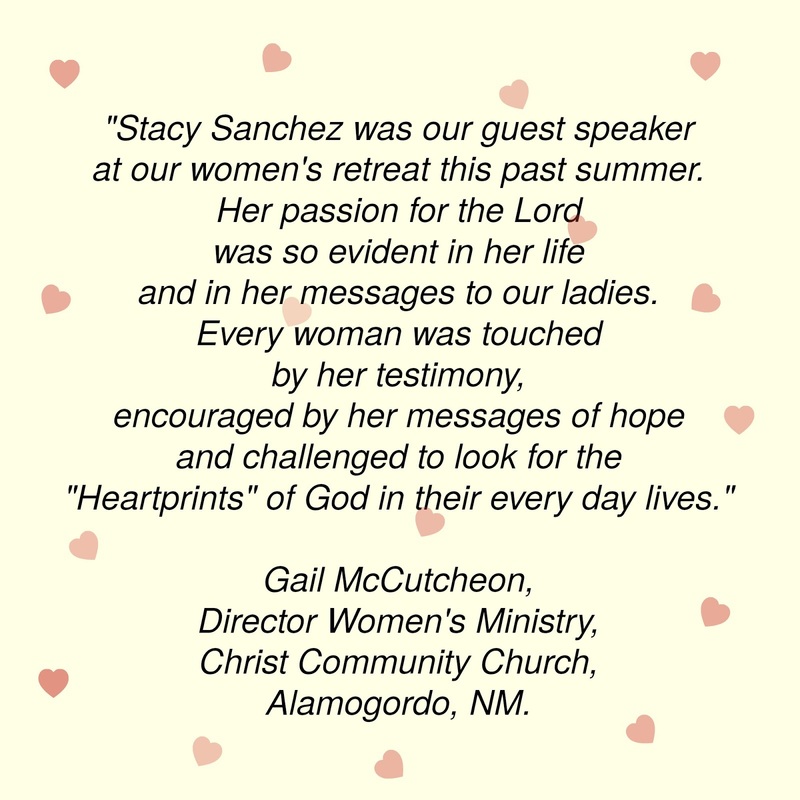 Stacy is a wife of 15 years, a teacher of 18 years, a writer and a speaker.